Marriages are joyous occasion meant to celebrate the unification of two individual in the bond of holy matrimony. We all cherish our friend’s journey into their marital lives and would prefer gifting then the best gift under budget. Perhaps a gift that looks great and provides more utility to the newly married couple. 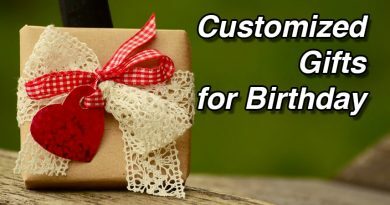 With the growth in personalized gifts and utility-based gifting options, the trend of gifting at Indian wedding has shifted from cost of the gift to personalization and utility of the gift What is the point of receiving an expensive gift if it’s not going to be used and shall be gathering dust or regifted in the near future. 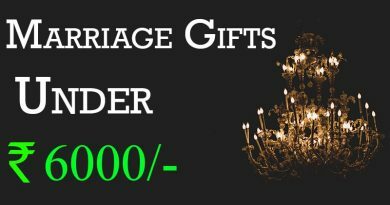 Find some options for wedding gifts under 1000 rs which can show our friend how much they mean to us and how happy we are with the commencement of their marital life without breaking the bank. This acrylic lamp with laminated adhesive based printing with long-lasting glossy digital prints laminated prints makes a fantastic marriage gift for a friend in India with the option of personalizing the lamp with 5 digital photographs of your choice. 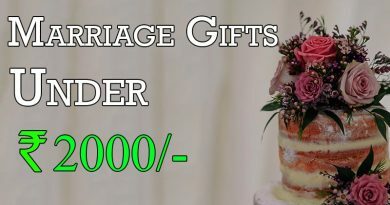 Even though it won’t cost you a bomb and fit well within your tight budget, this wedding gifts under 1000 rs has the power to touch your friend as this gift shows the thought and emotions invested (which is more valuable than any amount of money) which selecting, customizing and personalising their wedding gift. This beautiful ethnic art table lamp, made of a Sheesham wood-based and a good quality cloth wrap around plastic can be ranked among one of the best marriage gifts for friends under the budget of Rs. 1000. This table lamp is handy for night reading, mood lighting and is perfect for your bookworm friend who can’t get a good night’s sleep without finishing a few chapters of some novel every night. A LED Night lamp with a personalized message to your best friend is one of the most ideal marriage gifts for friends below Rs. 1000. Your personalised message can be anything from wishing them a happy married life ahead, something which symbolises your friendship, an inside joke which no one in the world knows or a few positive words to influence a blissful married life. This beautiful look LED night lamp comes with a wooden base LED light stand which is made up of 5 mm acrylic, giving the impression that much money has been spent on this gift. This electric kettle is one of the best wedding gifts under 1000 for your friend who is an avid tea lover and cannot spend a day without tea. A personalised and customised photo collage can be ranked as one of the best marriage gifts for a friend in India as it is something personal and customisable. You customise it to have names of the couples and have their photographs inserted in each frame, making it a gift is given straight from the heart. Its non-stick double Teflon coated plate, and power rating of 750 watts allows you to make sandwiches, automatically cutting, sealing and grilling them in a matter of minutes with its indicators indicating when your sandwich is ready. This makes ideal marriage gifts for friends budget Rs. 1000 who have busy careers and need to make breakfast real fast without spending much time in the kitchen. This egg boiler allows you to cook up to 8 eggs and comes in three modes to boil eggs, hard, medium and soft. Its simple operation requires the user to place eggs in place, add water and select a mode and in a matter of minutes, your boiled eggs are ready. With more and more couple working, making breakfast every day can become a daunting task. 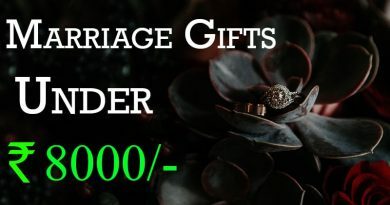 This gift can be one of the best wedding gifts under 1000 rs for your career orient friend who shall be having a hard time juggling between their professional, personal and marital responsibilities. This pitcher can be used for making fruit infused water or cold brews making it an ideal Indian wedding gifts online for your friend who is a fitness freak, health conscious or someone who cannot start their day without a cold brew. The next time you meet your friend and see them still being fit, and in shape, you know you can steal some credit for your fantastic gifting choice. This perfume gits set comes in a set of 4 different fragrances of 30ml each packed in a beautiful red box making it an ideal for marriage gifts for friends under the budget of Rs. 1000. It might be wedding gifts under 1000 rs, but its elegant look and attractive packing make it look premium giving the user an illusion of this gift item is expensive. The photo frame collage of pictures of your best friend and their spouse can be one of the most beautiful marriage gifts for a friend in India, especially when the couple know each other for quite some time before their marriage. You can insert pictures of your friend and their spouse in the photo frames which can be of different phases of their relationship symbolising the beautiful journey of their relationship which leads to their marriage. It can be customised with pictures of your friend and their spouse, highlighting the beautiful journey they shared together which lead to the beautiful day of their marriage, making it the best items for marriage below 1000 which comes straight from the heart, showing your friend how much, they mean to you and your joy seeing them entering the blissful marital life. 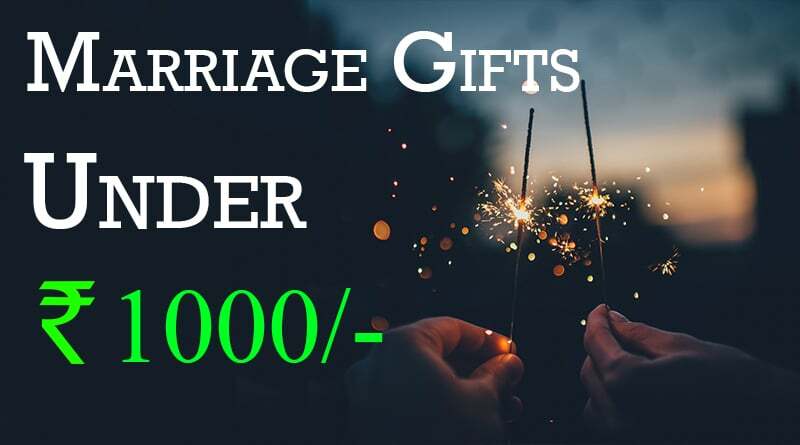 You don’t need to break the bank, go overboard and out of your budget buying the perfect wedding gift for your friends when you have so many gifting options of buying some of the best marriage gifts for friends budget 1000 rs.